A separation or divorce can be an overwhelming and exhausting process. However, a separation or divorce can also be the start of a new life. When the dust has settled and you are ready to begin looking to the future, one of the first steps you should take is reevaluating your estate plan to ensure it fits in with your plans and goals for your new life. 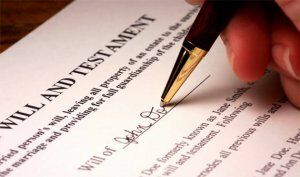 Why do I need to redo my estate plan after separation or divorce? When they get married, most people never imagine that they will someday get separated or divorced. Many people carry these feelings over into their estate planning, entrusting their spouse with substantial property and power. Though the laws in North Carolina provide some protection against ex-spouses, not all ties are automatically severed by the law. Willfully abandoned and refused to live with the decedent, and is not living with the decedent at the time of the decedent’s death. The rest of the Will stays in place – so be sure to read it. N.C.G.S. § 31-5.4. A divorce or separation does not revoke a will, but, unless otherwise specified by the will, any provisions in favor of the ex-spouse are revoked. This includes any provision naming the ex-spouse as executor. Your power of attorney stays in effect! Do you know where it is? Even divorce does not revoke existing powers of attorney naming a spouse as attorney-in-fact. Upon separation, you should promptly revoke an old power of attorney given to your spouse. You can revoke a power of attorney by destroying it, providing statutory notice to the agent of revocation, or recording notice where power of attorney is recorded. The surest, safest way to revoke a power of attorney that has not been recorded is to obtain all copies and destroy them. We do not recommend that our clients record their powers of attorney when they sign them, because an unrecorded document is easier to revoke, and control of the unrecorded document means absolute control of the power to use it. Life Insurance Beneficiary Designations can lurk unnoticed for years. Similar to powers of attorney, a divorce does not revoke beneficiary designations on a life insurance policy, annuity, 401(k), IRA, or any other similar benefits. Changing your will has no effect on these types of assets. You must take affirmative steps to change the beneficiary designations on these assets in order to avoid passing them to your ex-spouse at death. What should I do about my jointly-owned property? After separation, but before a final separation agreement and memorandum of separation can be created, one spouse frequently wants to refinance the existing family home, remove the other spouse from ownership and debt liability, or purchase a new home. Real property can be purchased without the signature of a non-owning spouse. (Really! This is in the statutes!) This is frequently useful where one spouse wants to buy a new residence before the issues involved in the separation agreement are fully resolved. The risk, of course, is that the separation negotiations could drag on and the spouse may be unable to sell the purchased home without the signature of a potentially hostile spouse. This plan should also be cleared with the lender very early in the process, to make sure that the lender’s procedures can accommodate this arrangement. If both spouses have agreed that one of the spouses will keep the family home, a conveyance of the property to one spouse will vest ownership fully in the grantee spouse. However, marital rights remain in the property until they are released, so both spouses would still be required to sign a conveyance to a third party. Spouses may convey ownership and marital rights in the property to one of the spouses by a deed conveying the property and reciting waiver of inheritance rights to that one tract. Is it is usually the best practice to have both spouses sign such a deed as grantors to the one spouse in order to avoid later controversy. Upon separation, spouses should execute a new will and powers of attorney and change beneficiary designations, without waiting for a separation agreement or divorce to be finalized. Some rights of the surviving spouse continue until a separation agreement or divorce, but it is possible to avoid an outright bequest of the entire estate and exert control over the distribution of some assets. You should contact an estate planning attorney who can help you decide on the best course of action moving forward. Act now to handle this important piece of your business. Call us and we will be happy to explain more and help you set up this important piece of your estate plan. The North Carolina Real ID. What is an ABLE account and how does it work in North Carolina?